1. Sending Traffic to your squeeze page. Your squeeze page then presents an offer to the visitor. 2. Your squeeze page asks the visitors to fill in a form and to enter their name and email. In exchange, you provide a free product or eBook with content related to what they’re looking for. 3.a) You then provide your new subscriber with a special offer. This can be a premium version of what you just gave away. For example, if you gave away an eBook, then your (first) offer could be for 20 module video course for a very reasonable price, of $10 – $47. If someone has subscribed for an eBook, it’s probable they’ll willing to spend a little to have more specific information. 3.b) If your subscriber didn’t buy that offer, then you offer a down-sell (a cheaper version of the previous offer). Instead of selling a 20 part video course, you could sell a 10 module video course for half the price. Even add another component to the offer to make it even more attractive. Either way, your offer is there to monetize your new subscribers. 4. Your subscriber is initially taken to the download page for their free content. If they bought any of your (previously mentioned in 3a or 3b) offers they’re taken to the respective pages. 5. They’re asked to confirm their subscription. Aweber strongly believes in having ‘double opt-in’ to reduce spam complaints and to build only quality leads to your list. 6. Now your subscriber has confirmed and is on your Aweber list. When people say ‘build a list‘, this is what they mean. Your auto-responder can take over from here and you’ll have the ability to send out broadcast emails to your subscriber list, on demand to any URL offer you want. 7. Your new subscribers should automatically receive emails starting from day one. Not every email should be a promotion. Some will contain useful ‘how-to‘ info, some will contain advice, and others will be promoting your products. 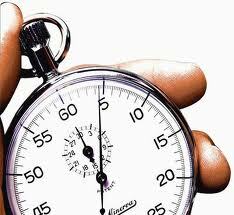 You need to space your emails in your auto-responder about 4-7 days apart so that they’re consistent, but not irritating. 8. When you promote an offer, you should be offering up-sells as soon as possible. For example, if a subscriber joins your list and then decides to buy a product from you, you could offer a Resell Rights license to your product for an extra fee. This way you’re catering to your subscriber’s needs whilst maximizing your sales. 9. In our example (Diagram above) email #6 is an affiliate promotion. Instead of sending your subscriber to one of your products, this time, you’ll be getting them to click on your ‘become an affiliate‘ link. If they signup you have an affiliate for your product and they will make a commission on any sales. 10. You encourage your new subscriber to become an affiliate to promote your website and other products by offering them a high commission when they generate a sale through your up-sell and down-sell. Most affiliate programs offer 50-75% commission. (Tip) You could offer 100% commission to affiliates for promoting your squeeze page and sending traffic your way. Any sales made go straight to the affiliate, but they’re delivering traffic to you and building your list. (Key factor). 11. A powerful feature of list building is your ability to send out emails whenever you want. If a new product comes out and you wanted to recommend it to your subscriber list, you could write an email and broadcast it and bring in additional sales within a short space of time. There are more nitty gritty details we can go into like copy-writing, design, and layout, tracking, what to sell, what prices to make your up-sells, how to set up an affiliate program, where to get free content, where to locate affiliate products etc. As we have already said, putting all these things together for just one ‘sales funnel’ is a time-consuming and difficult process and it’s little wonder that many people give up in frustration. But don’t worry, the whole point of this post is not for you to learn every tiny detail but to understand that it can ALL be-setup-for-you, so you only have to focus on getting traffic to your squeeze page. Instead of using your time, researching, experimenting, testing, tweaking, pulling your hair out and then spending money trying to get all these things working, why not just model a system that is already a proven winner? You Don’t Need To Do Any of it! Why not have the system you can follow that actually works so that you will know with 100% certainty it will make money for you? What if, you had a complete system setup for you and you just needed to send traffic to it. I’m talking about having your own squeeze page, with products you can call your own, with an affiliate program built-in, payment buttons setup, a series of emails fully loaded into an autoresponder, with up-sells, down sells, and much more, all set-up-for-you, ready to go. This is what Setup My Products™ is all about. It’s more than just a ‘service‘ for lazy people. It’s a business model you can own and profit from. You can even study and model it so you’ll know exactly what to do, to build sales funnels in the future and learn how to get traffic from the comprehensive training that included. Look at it this way. If you created your own site, developed your own product and spent your time sending traffic to it in the hope of selling something, but it didn’t work. You’d probably feel a little frustrated? You’d probably have to keep tweaking and adjusting your site until it…hopefully, eventually made you some money – right? So what if I could show you a better, smarter, less time-consuming way to create everything you need to have a profit generating, list building, marketing machine that is all set up ready to go. Get Everything Setup for You! I mean have EVERYTHING professionally set up for you. A real, rock-solid, systematic online Affiliate Marketing business – that (if you work it), could replace your existing income, (or at the very least, create an additional revenue stream). “It’s a tried and true method that will allow you to make money almost on autopilot and its one that I use myself personally, and it makes money for me. But unlike the ‘Gurus’ I’m not going to promise you it’s going to make you rich overnight”. I don’t need to tell you the importance of, list building, creating a squeeze page, selling your own products, setting up autoresponders and so on… Nor do I need to tell you about how much time and effort all that involves. But I will tell you that this is a system that I personally use, it saves me a ton of time and it works for me. 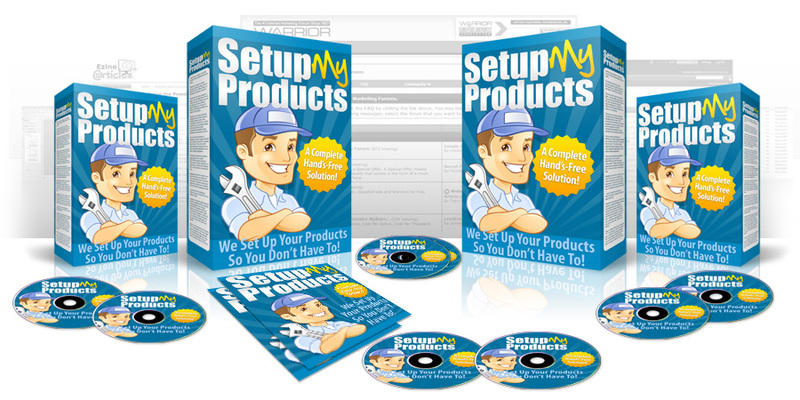 Setup My Products™ Your Complete List-Building, Sales, and Affiliate System all in One! – Just add Traffic and You’re Good to Go! You see, with a system in place like this one, that’s all-done-for-you, you won’t need to mess around with HTML, Photoshop, FTP, copywriting, product creation, split-testing, conversions, creating payment buttons, setting prices, redirecting to your download page, optimizing your download page for cross-sells and creating a squeeze page. It also take care of you having to create an auto-responder campaign, writing emails, or coming up with reasons for convincing subscribers to buy your products or join your list. Wouldn’t it be simpler, smarter and more convenient to have this all-done-for-you so you have a complete site, totally set up for you, ready to promote and start making money for you from day one? Imagine soon afterward you set it up, you began to see ‘notification of payment‘ hitting your inbox? 1. A personalized system with your details – this includes your name on the sales page of every product as well as your support email address on the footer of every page including the download pages of your products and an up-to-date disclaimer on the footer of every page matching your domain name. 2. PayPal payment buttons set up for you – PayPal buttons can be difficult to set up but we help set that up for you. We take your PayPal email address and create two buttons for each product you’ll be selling. 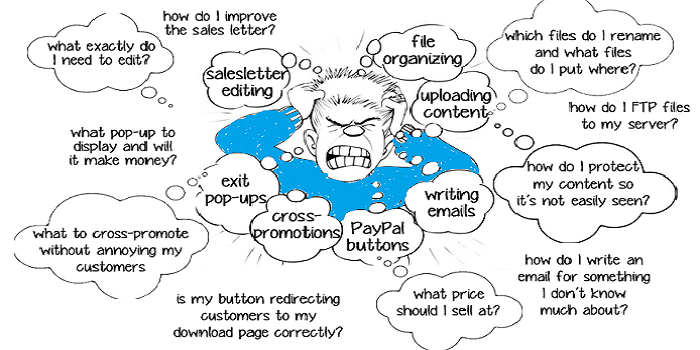 We create two PayPal buttons for your squeeze page during the up-sell and down-sell process. 3. 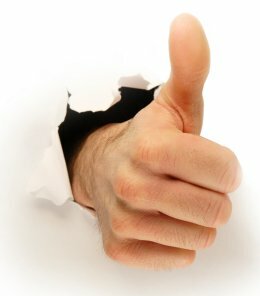 We embed your ClickBank IDs into your thank-you pages for cross-sells – confirm pages and ‘thank you’ pages are prime locations for cross-selling which is where many beginners leave money on the table. With our help, we’ll strategically place compelling offers that get your visitors and customers clicking and buying. 4. We create a new autoresponder campaign in your Aweber account – If you don’t know your way around Aweber’s autoresponder system or still getting to grips with it, it can be very frustrating. With our help, we’ll get everything in working order starting with a new autoresponder campaign. 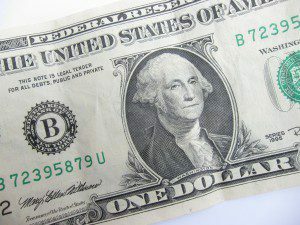 This will most likely become your primary income generator. 5. We Customize your confirmation request and redirect to it back to a bonus gift – With Aweber’s double opt-in feature subscribers are asked to confirm before they receive any emails from you. To keep your conversions high we add a customized email into the initial sequence which offers another gift just for subscribing. This gets them clicking on the activation link and more importantly gets them on your list. 6. We encode your campaign, with your details into your squeeze page – Creating an autoresponder campaign and adding the opt-in code can be a challenging task especially when you want it to look right. Again we make quick work of this and have a professional looking opt-in in form (better than Aweber’s standard templates) ready to build your list! 8. We also Populate your autoresponder sequence with our specialized promo emails – As an extra bonus, we add affiliate promo emails to your system so that even after you’ve sold your products, emails will be sent out for more offers. These are carefully selected, hand-picked products in profitable niches which tie in nicely with the existing products you’re selling. Doing this utilizes your auto-responder to it’s potential maximizing your earnings. 9. We upload the system to your server – Once the system has been updated and modified with your details, we upload it to your server. You are hosting the reseller sites on your server however, the products are hosted on our fast and reliable Amazon servers which means that no matter how much traffic to send into the system, it’ll still be able to sustain the pressure rather than having your server crashing. 10. We verify that the system is working – No one likes to be sent to broken links, nor do they like to click on ‘buy now’ buttons that don’t work or get taken to a 404 error page which is why we manually check the system to ensure everything works. 11. We email you when it’s done – After we’re happy with everything, we send you an email with all you need to take charge. This includes the download pages to your products including their access keys, the products you’ll be promoting as an affiliate, the download links to the products on and so forth. Although not necessary, we like to ensure you know what’s where if you ever needed it. 12. We provide you with traffic training and instructions – Your system is now setup and ready to roll! All you need now is to send traffic to the starting point. To help you with this, you’ll be provided online access to training videos so you’ll know exactly what to do from here onwards. The video course is actually a full blown system. We’ll be teaching you several ways to drive free traffic, and then you can pick and choose which ones you want to use. At the end of the course, We’ll even show you how to pick which ones to use and how to know what to do each day to keep a flood of traffic coming. 1. Web hosting – you’ll need hosting to host your website. 2. An new or existing domain name – this is where your system will be installed. 3. Your hosting IP, login username and password – this is so they can access your server and upload the system to your site. 4. An account with Aweber and login username and password to upload your auto-responder emails. 5. Your ClickBank ID – you can sign up at ClickBank.com for a free affiliate account. 6. Your PayPal Email (And JVZoo ID) – you can sign up for at PayPal.com for a free merchant account. This is so you can accept payments online and promote special affiliate products that pay out 100% commission. Sign up for a JVZoo account to allow you to accept split-payment commissions! If you love the idea of selling products as if they were your own, but hate the thought of dealing with the hassle of setting them up, then this is ideal for you. If you’re serious about making money online and want to duplicate a fully blown sales funnel system without you having to reinvent the wheel, then this is definitely for you. How much would you expect to pay for a system that is all-done-for you and is a complete sales funnel, with products you can call your own, with free reports and sign up incentives so you can build a list of subscribers in a very short period of time? A thousand dollars ($997) would not be unreasonable considering how much time you will save and what you could make marketing these products. However, because I’m looking to get as many people involved with this as I can and I want to get outstanding feedback and I want to encourage you to buy from me again. So, I’m going give you 60-days to try it out and if you don’t manage to get a sales funnel setup, add subscribers to your list, or make a sale then you’ll be entitled to a full refund. * By reducing the price there are optional up sells that will be offered to you after the initial purchase. Or pay a small price and have it all set up for you in a professional way. Your All-In-One List Builder, Up-Sell System, Content-Give-Away, Automated Sales Marketing Machine, online Business in the Listing Building and Affiliate Marketing Niche is waiting for you to Get Going! Don’t forget; This offer is also backed by a 60-day guarantee. If you somehow don’t make a single cent after using this system for 60 days, even with all the traffic training provided you can claim a full refund. 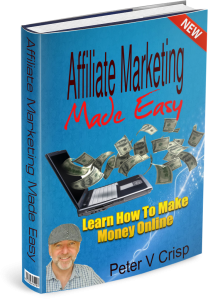 I understand that this whole idea of affiliate marketing and working online may seem overwhelming and (for some) very confusing, hence the reason I have offered the above as a complete solution for anyone getting started online. If you enjoyed this article “A Done for You Internet Business” please feel free to socially share and leave a comment below. Let me show you some of the products you could be selling as your own if you get this system. Or you can just purchase them individually and use them yourself. But why not make them yours to resell. Not everyone has the time, skills or desire to create and sell their own product but when everything has been done, it makes life just so much easier. Hi Peter, I’m very interested in giving this a go, sounds really good. Quick question… how many digital products are available for sale? and do I split the affiliate commissions with you? am I also totally in control of the business? I was initially going to promote an affiliate product on Clickbank but that is only one product compared to your library of downloadable digital products on one website… which is by far the greatest, I see the big picture, I was actually limiting myself. Thanks and looking forward to signing up and coming on board with you. All of the products look good! I do have a question….are there any health related products in the program? What a brilliant post my friend and only wish I had found this 17 years ago, yes you can laugh I have been going around in circles since 2000 spending 10’s of thousands on trying to crack the code so to speak. The gurus don’t want you to learn because then you stop been a cash cow for them when you think about it. I will be buying this through your link Peter, but can you PLEASE tell me how many upsets there are and a full price breakdown, as money is tight for me now, I have already set up hosting, a domain and all other requirements so I am ready to go on this. Also any help on driving traffic would be very helpful, I am aware that this is covered but just wondering your thoughts on Solo ads (Udimi) “Human Eyeball” etc etc and any other tips at all on this would be great. The domain I have registered is nonegurumarketing.com as I am thinking of doing videos on YouTube telling people about these scammy gurus. All the very best and once again THANK YOU. Hello, Gary Thank you for your comments. The product (using my link) has a $100 discount already and is therefore going to only be $97. There are two up sells which are OPTIONAL ( I would skip them for now). You will need hosting (which you have) and a PayPal account (which you can set up for free). A JVZoo account (also free) and Clickbank (also free). Once you purchase the product, they will set it up for you and ask you for your details and access information. They will want an autoresponder which you could do without for the moment (It’s for follows ups and sending out offers to your existing customers). I use Aweber (and they have a free trial) but you can add that later. Then you need to be smart about how to attract readers to your site, because it’s not about building a site and putting up products to sell. That’s what everyone is doing and “Why should they buy from you? 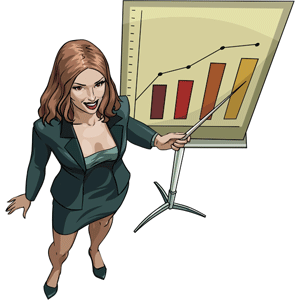 If you want to sell something you need be smart and attract readers to your site. A great why to do this, is rather than trying to directly sell products is to write a reviews about the products. I have lots of posts and article about how to do this. So review them on my site here. Hi, great article. What niche is this funnel for? Or can the customer chose their own niche? Hi Peter. Re this Super Sales Machine course of Aaron’s, thank you for mentioning that there are upsells. Unfortunately no details are provided of what these are or how much they cost. I bought a really cheap laser printer the other day, and surprise surprise, the ink cartridges that I ‘need’ to buy cost a fortune. Don’t get me wrong, I don’t mind that there are upsells. In fact, this would look a whole lot less dodgy if it actually sold for $500 as opposed to $97. In fact if you or him came to me and told me what all the bells and whistles were, I’d potentially be willing to pay more than the ridiculously low entry (hook) price. Given that neither you or Super Sales Machine who run the system have contact details (like an email address!! ), I need to ask these questions here. Thankyou peter. I appreciate you response and hope you’re not offended by me asking. I’m more than happy to purchase it and to go via you in doing so. – whilst there are many video reviews of the product, presumably from people selling it (which is fair enough….I could be one of them myself soon!) a number of the commenters to the videos refer to lack of ability to get support after they’ve purchased. What has been your experience? – just how “auto” is the setup. Will emails literally already be inside aweber ready to go, or will I be copying from files and entering them into the system? I guess sometimes I’ve seen ‘completely automated’ only to then have someone say ‘you just click this, then attach this, then change this, then drag this, then …..”. There’s no wrong answer, i’m just keen to get a better understanding. Thankyou for your assistance and quick response so far. 1. Web hosting – you’ll need hosting to host your website. You’ll be able to register your own .com domain, email address to your domain, even brand products and logos to your domain. 2. A new or existing domain name – this is where your new producys and the entire system will be installed with your squeeze page at the root of this domain and your products in sub-directories. 3. Your domain name pointed to your server as an addon – you will need to connect your domain name to your server so that it registers when your domain it typed into the URL browser. (Don’t worry if you don’t know how to do this they can do it for you). 4. Your hosting IP, login username and password – this is so we can access your server and upload the system to your site. They do not store these details and you can create a temporary password and username if necessary. 5. An account with Aweber – this is the same auto-responder they’ve been using for years. Make sure you register for an account. 6. Your Aweber login login username and password – They will need to access your account to create a new list campaign and to upload your auto-responder emails. 7. Your ClickBank ID – you can sign up at ClickBank.com for a free affiliate account. This will enable you to promote products as an affiliate. 8. Your PayPal Email (And JVZoo ID) – you can sign up for at PayPal.com for a free merchant account. This is so you can accept payments online and promote special affiliate products that pay out 100% commission. Sign up for a JVZoo account to allow you to accept split-payment commissions. They will ask you for these details so they can set you up set, (which may take about three or four days) and then that’s it. Once it’s set up, it’s there for good and all you’ll have to do is send traffic to the URL. Which you can do via reviews, blogs, and creating content about related subjects that will connect to the products you are wanting to promote. Like you I was a little skeptical about just how “done-for-you” the system was, but I was pleasantly surprised at how easy everthing was and even more excited when I made my first sale within a few weeks of getting everything set up. P.S I will also send this information to your email address so you can communicate with me directly if you require any other assistance. You nailed it. As a beginner in online marketing, I feel overwhelmed a lot of times. I knew from the beginning that it was going to be hard but couldn’t envisage how hard it will be. What’s a squeeze page? I don’t think I have one. I do have a page that ask for name and email in exchange for a free newsletter. I was begging to panic after reading halfway through until you talked about My set up product. sounds like a life saver. Hello, Denise you are not alone many people feel the same way and this program is a true done for you program and everything is really set up for you -NOT like those scam that say they do, but don’t actually do much at all. This one has products and sales pages and paypal setup for you and actually works as they say. The only thing that I noticed that could use Improvement is maybe the done for you should be in parentheses. Also your content is perfect. Honestly if I knew it was that good I would know I can make money and I’ll probably just pull over right now good thing I’m not really in it for the money and don’t care as long as my websites get out and get seen and I can get my artwork to my people after I get my degree. Another thing I noticed, is I think you’re using apostrophes for quotation marks there’s one spot down about a quarter of the page that has become an affiliate and it’s supposed to be in quotations and its in apostrophes instead. Other than that everything looks great. I personally would never mention money for most in any of my writing or commercials, because I know it scares people nowadays, they all know about Megan come on who doesn’t. Hello Peter, I am not a fan of done-for-you programs especially after being scammed a few thousand dollars by a company promising a lot but failing to deliver. Yes, I understand there’s a lot of work that goes into setting up the funnels but essentially you are going to need to drive traffic and build relationships with your potential customers. Having said that, it really depends on the type of product/niche you’re selling. But I see that this product is different and you seem like someone who knows what they are talking about so I will take a closer look at this. I’m usually suspicious of done for you internet business offers, but this one sounds good. I know from experience the headaches of setting up a sales funnel. It’s enough to drive a man to drink. Is this primarily for PPC or would it work with organic traffic? And, I’m a little unclear about the products. Are the products part of the package or do we find our own products? Thanks Peter for information on how to have a viable online business. The information you provide is really detailed and any one willing to succeed online can take advantage of it. It is true sometimes the whole process can be frustrating considering how to setup your website, add content, update content promote product, ensure customers are being properly redirected to the right download page and so forth but with the step by step details you give, I can really appreciate that it is simple for any one willing to succeed online.